When April arrives, and the incessant winter rains start to taper off, it’s Tulip Time in the Skagit (SKAH-jit) Valley 60-miles north of Seattle. 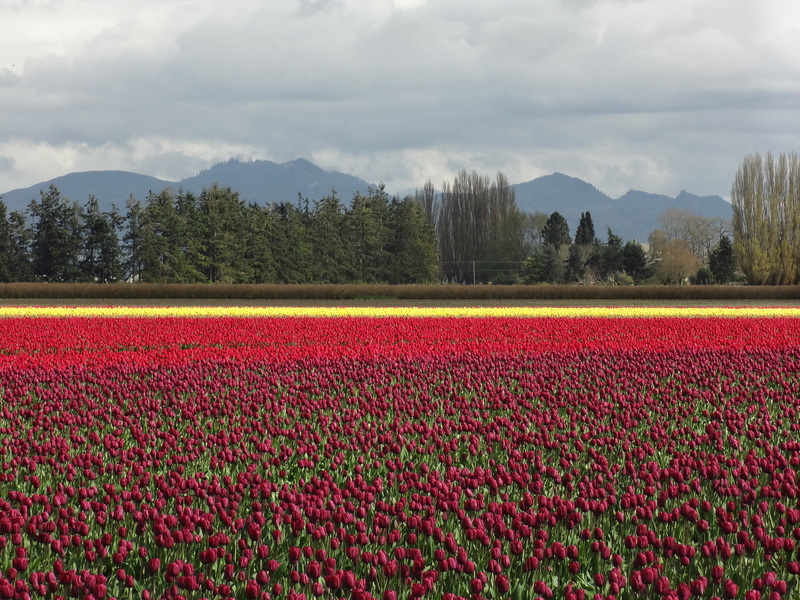 In fact, the entire month of April is the Tulip Festival in the Skagit Valley. The small, artsy waterfront town of La Conner, across from the Swinomish Indian Reservation, is at the center of the flower-growing region of Washington State where tulips, irises and daffodils are grown commercially for their bulbs. After a hearty meal of halibut fish n chips in La Conner we drove the few miles into the flower region. We visited on a breezy Friday in mid-April, a good strategy since the fields can get crowded with flower tourists on weekends. The flower farms are spread out between La Conner and Anacortes to the north. We paid $5 for parking in the farm fields after which you are free to roam through acres of brightly colored flowers swaying in the April breezes (the $5 parking pass good for all day at all farms). There were some farms with acres of blindingly yellow daffodils. Other farms had mixes of multi-colored tulips in red, yellow, and purple. 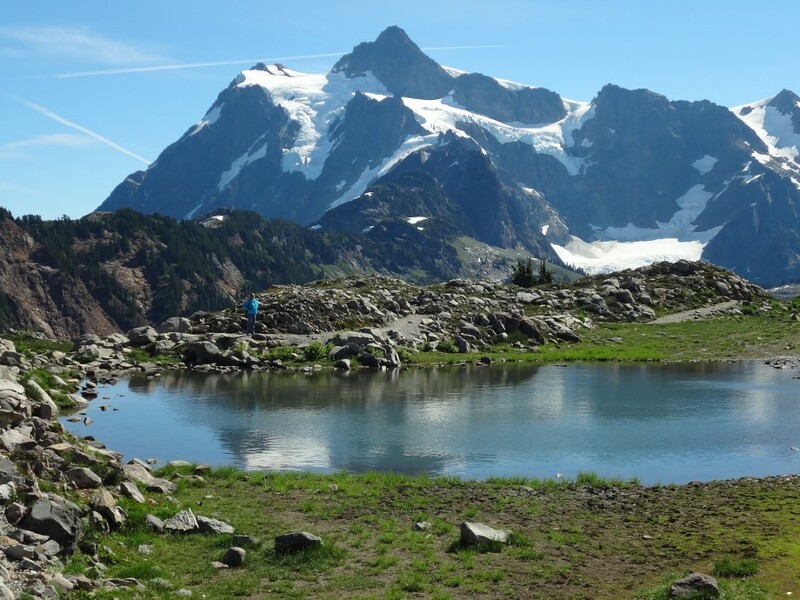 All of the farms are in the magnificent Skagit Valley with the snow-capped Cascade Mountains to the east, the Olympic Mountains to the west, and the glacier-covered cone of Mt Baker rising above it all. The day we were there a pair of bald eagles soared over the tulip fields making it a perfect Tulip Day.